Anti-inflammatory foods are often discussed by people with chronic inflammatory diseases. Cystic Fibrosis has associated inflammatory responses, which brings the question of how beneficial an anti-inflammatory diet could be as part of the Cystic Fibrosis diet? What studies are behind these claims? How can you cook with these foods? Inflammation is a response of the immune system – sometimes to invaders (infection) and sometimes to the person’s own cells (autoimmune diseases). And sometimes inflammation can be damaging even if one’s own cells weren’t the original target of the immune system, as in the lung disease component of cystic fibrosis. 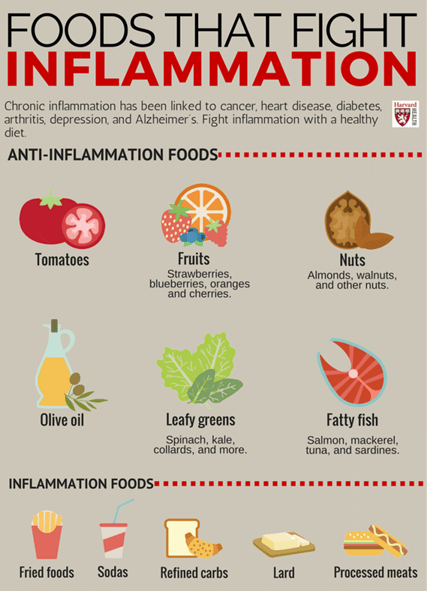 People take medications to reduce inflammation when it harms the body. 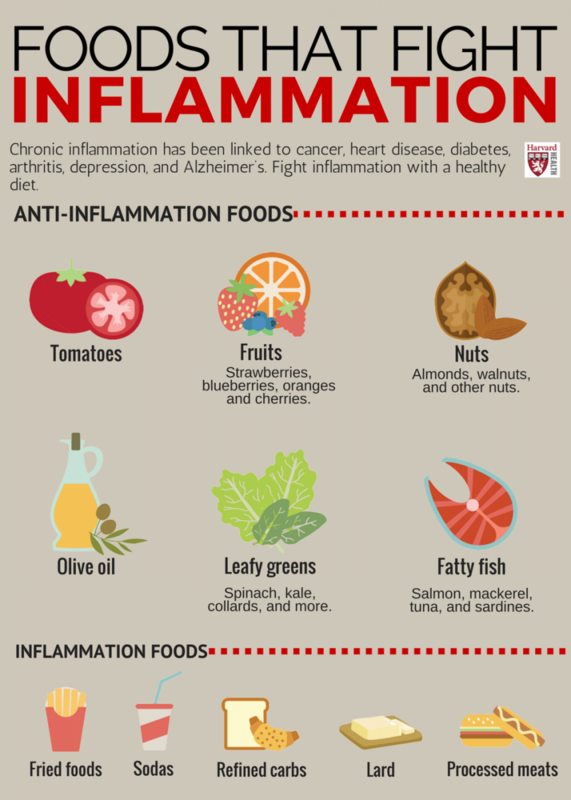 Medications like corticosteroids (inhaled or oral), NSAIDs (ibuprofen, aspirin and more), and even chemotherapy medications (Methotrexate) are powerful tools to limit inflammation. 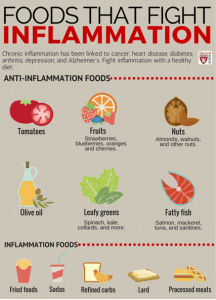 These medications have risks as well as benefits, so looking for changes in lifestyle and diet that might assist in controlling inflammation can be beneficial. This is not to suggest changing a treatment regimen, but rather to explore the possibility that eating certain foods might improve a person’s inflammatory condition. 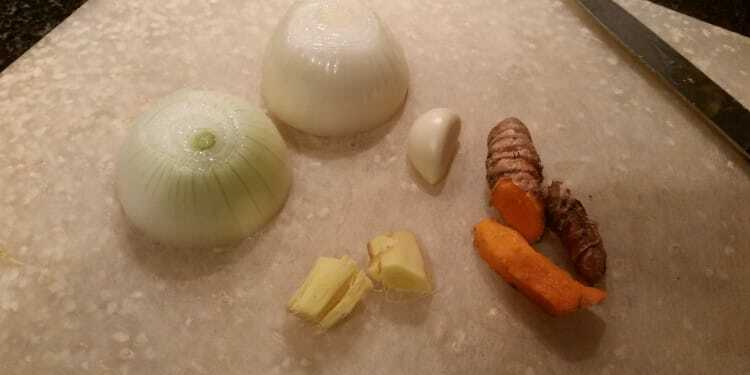 Curcumin is the active ingredient of the spice Turmeric. 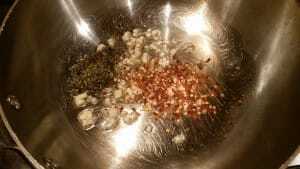 Cumin is a spice made from the dried seed of a plant that is a member of the parsley family. Cumin is also believed to be beneficial — for digestion, diabetes prevention, and heart health. 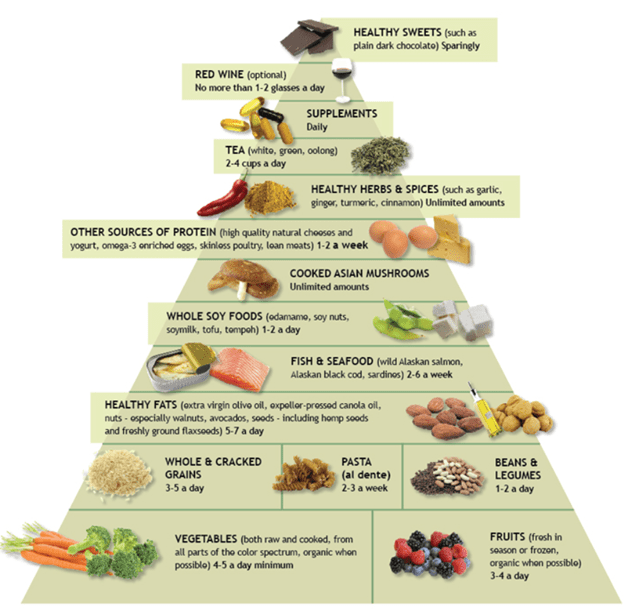 Please take a look at the infographics below for additional foods. You may want to keep these handy for meal planning and grocery shopping. The links below the images will take you to printable versions. As you saw in the picture at the top of this article, a few small additions to a meal can make it have anti-inflammatory potential. 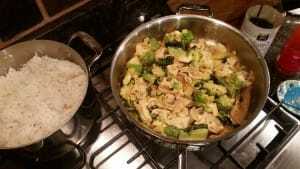 Those ingredients went into a mini-chop and then a quick stir fry. 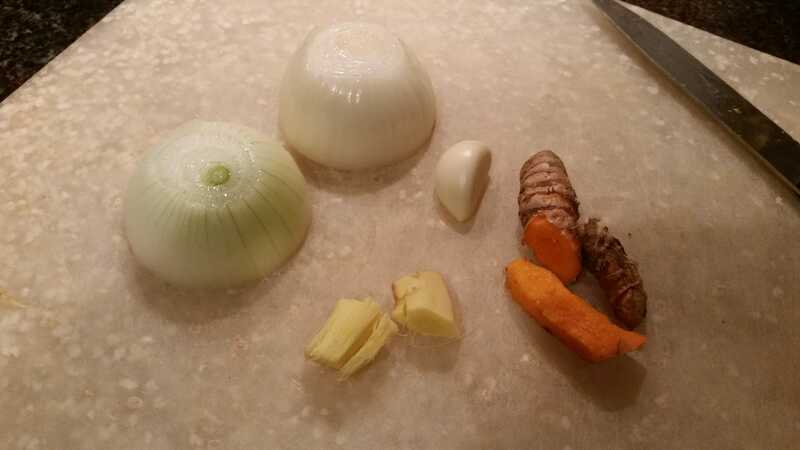 Mini-chop with ingredients from cutting board pictured at top (onion, ginger, garlic, turmeric). Also, coconut oil for low-to-medium temperature stir-frying, green beans, sliced pork. Plus soy sauce and sweet chili sauce (with red pepper flakes) to your taste. The meat and vegetable in this stir fry can be changed to your preference. For example, here is the finished product, using chicken and broccoflower. 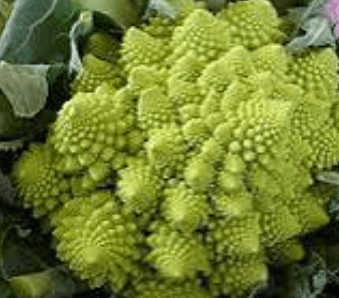 Broccoflower – a mathematically beautiful vegetable (fractals). 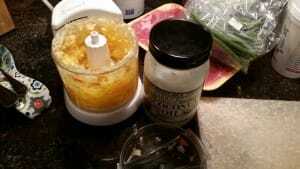 Of note – I buy fresh turmeric at an Asian grocery store, but if this option isn’t available to you, powdered turmeric is sold at major grocery chains, and I’ve also had success buying food online. Ingredients: Olive oil, garlic, oregano, red pepper flakes, salt, bag of frozen spinach or two bags of fresh baby spinach, pepperoni and sliced or shredded cheese of your choice (I suggest mozzarella or provolone). 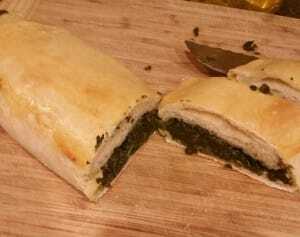 Sauté olive oil, garlic, oregano, red pepper flakes, and frozen or fresh spinach. Add more or less salt depending on your use of pepperoni and cheese. 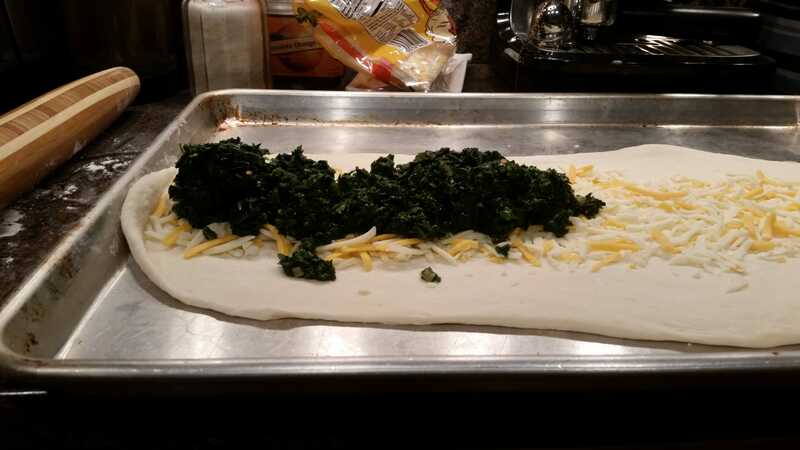 Roll out pizza dough (no need to let it rise, just make sure it’s defrosted in fridge for 24 hrs if you buy it frozen). Place on greased cookie sheet, and layer on cheese and pepperoni (not pictured above) and the spinach stir-fry. 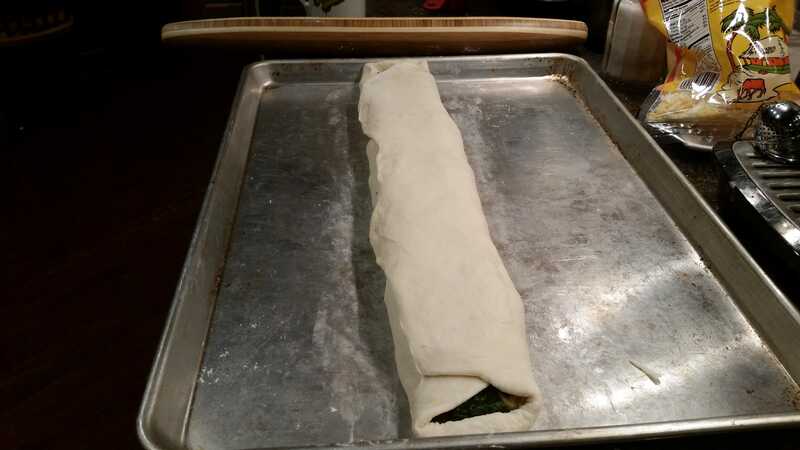 Wrap it closed, brush the top with oil, and bake at 350’ until golden brown. 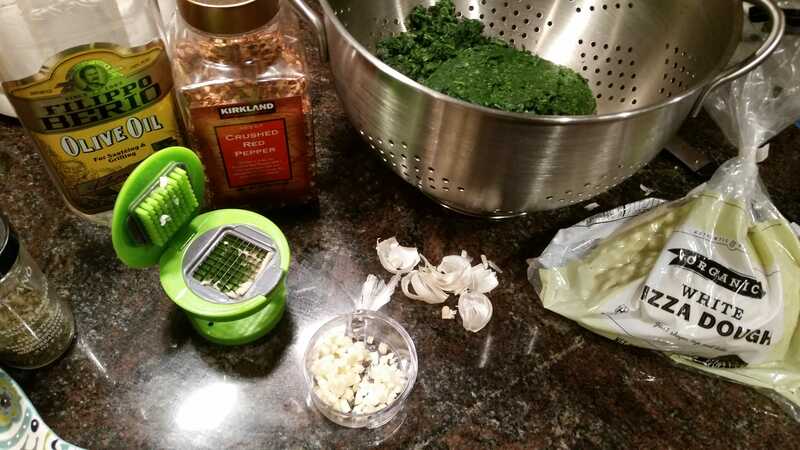 Please share your anti-inflammatory recipes and meal ideas in the comments section below or start a new thread in the Nutrition Section of the forums. Written by: Melissa75 on February 29, 2016.